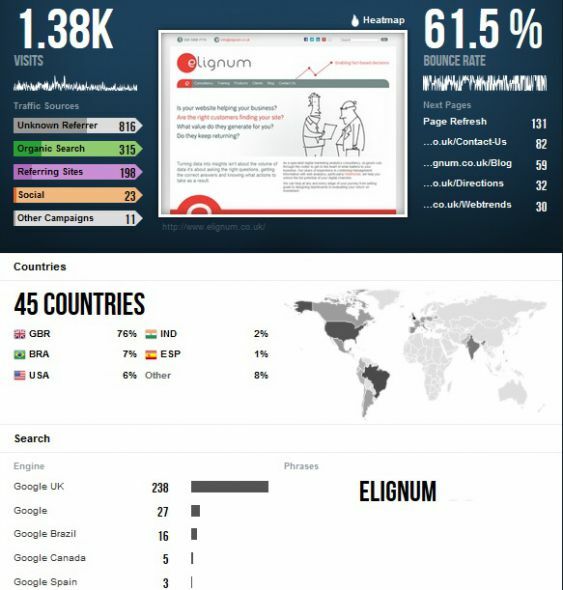 A dashboard is a collection of reports at the summary level providing you with an overview of what is happening, usually on a single page. In Webtrends OnPremises (V9) there are a number out-of-the-box dashboards and you can build your own by selecting from a dropdown list of the reports available. Typically they show the Top 5 entities (e.g. Pages, Referrers or Campaigns) from each underlying report. 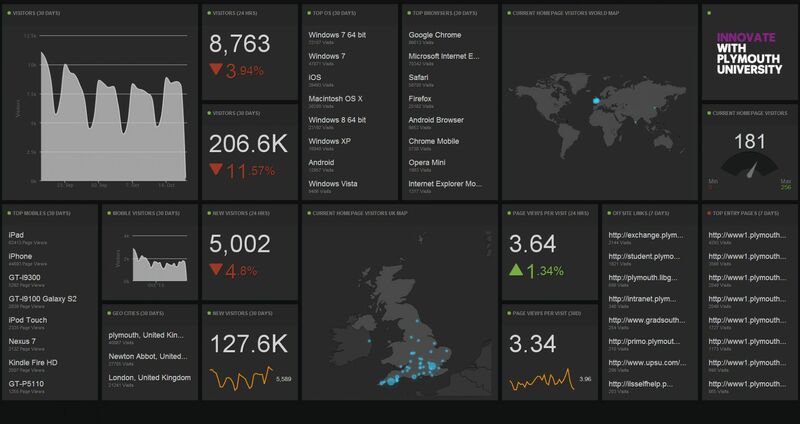 Webtrends OnDemand (V10) has a number of reports that are a dashboard in themselves. As well as the overview to start with, clicking on one of the Page links gives you a great insight into the metrics for that specific URL.